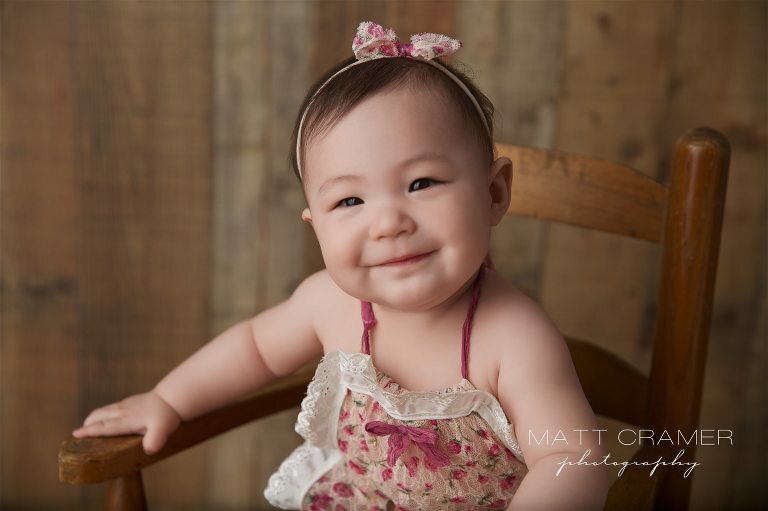 This beautiful girl came for her Los Angeles Baby Photography session recently! 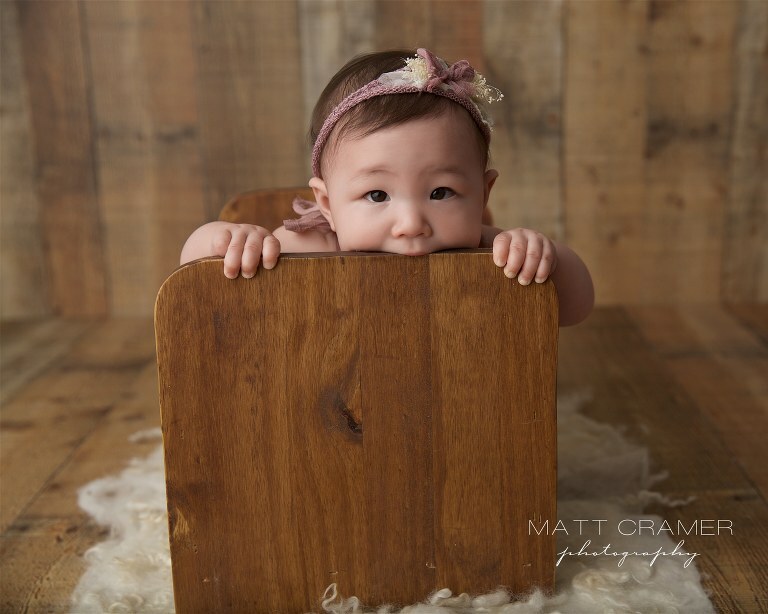 After newborn photo sessions, we offer a “Sitting Up” milestone session to capture babies from about six to eight months old. This is such a wonderful time to do a photo shoot! In fact, it is one of our favorite sessions to photograph. Babies are sitting up by themselves, yet still not able to crawl or walk off set! Stranger anxiety has usually not set in by this age, and most babies are happy to give adorable expressions. Toothless grins, wide eyes, silly faces, or even more serious looks. We love them all because it documents who your baby is at this stage of their lives. Mommy first contacted us when her sweet girl was about three months old. She had missed the newborn photography session timeframe when she was first born. So she asked which was better a three or six month old photography session. FOR SURE, a six month old portrait session we said! Or, at least whenever is baby is sitting up unassisted. Mommy booked a photo session for right around the six month mark for her baby girl, right then and there. In the end, it was perfect timing too- her sweet girl was sitting up great by the time of her photo session date! 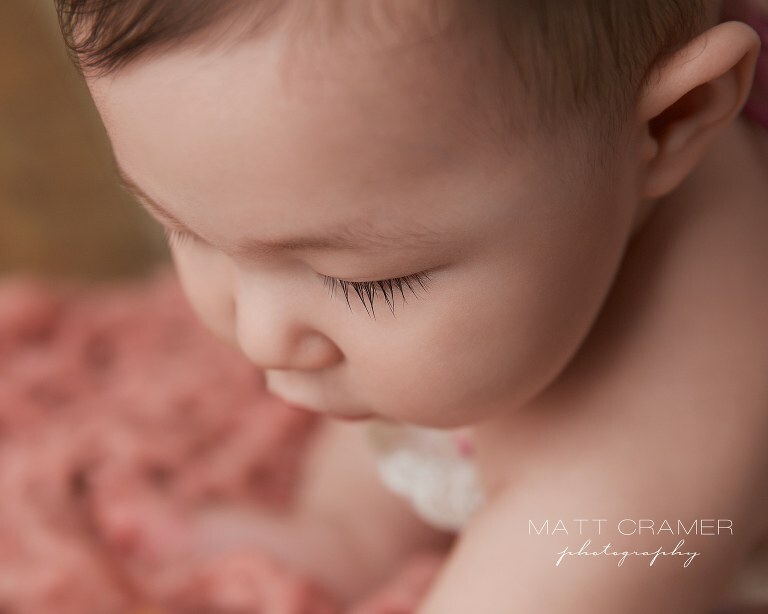 Here a few of our favorites from her Los Angeles Baby Photography session! Look at her sweet smile! Her adorable outfit is part of our studio wardrobe and is always a top choice with parents! She was playing a half peek a boo and half teething game- lol! Beautiful headband from Goodnight Moon! Recent sessions are on our blog.